Poly Real Estate: The contracted amount in January was 33.6 billion yuan, a year-on-year increase of 6.14%. Southern Media: The restricted shares of the company's total share capital of 71.83% are listed for circulation. Wentou Holdings announced that the investment in the film "Wandering Earth" box office generated a revenue of about 1 million yuan.Shanghai movieAnnouncement, the tentative income of the box office of the investment movie "Wandering Earth" is 1.2 million to 1.6 million yuan. As of February 10, the Beijing culture came from the movie "Wandering Earth" with a revenue of about 73 million yuan - 83 million yuan. Chinese film: It is estimated that the income from "Wandering Earth" is about 100 million yuan. As of February 10, Chinese movies are expected to benefit from the film "Wandering Earth" with a profit of 95 million to 10 million yuan. As the film is still in the show, the related revenue will increase as the box office increases. Light Media: The current revenue from Crazy Aliens is about 400 million to 500 million yuan. The film "Crazy Alien", a wholly-owned subsidiary of Light Media, was released in mainland China on February 5, 2019. As of 24:00 on February 10, 2019, the film was released in mainland China for 6 days, with a box office score of more than 1.446 billion yuan. The company's revenue from the film ranged from 400 million yuan to 500 million yuan. Yibin Paper (600793) announced on the evening of February 11th. On April 20th, 2018, the company signed the “Comprehensive Compensation Agreement for the Old Plant Area Relocation” with the Urban Housing Collection Service Center of Cuiping District, Yibin City. The company recently received a relocation compensation fund of 130 million yuan. Up to now, the company has received a total of 871 million yuan in relocation compensation funds. Daqin Railway (601006) announced on the evening of February 11th that in January 2019, the company's core operating assets, Daqin Line, completed cargo transportation volume of 39.01 million tons, down 0.66% year-on-year. The average daily traffic is 1,258,400 tons. The Daqin line has an average daily load of 86.9 trains, of which 61.1 trains per day are 20,000 tons. Tianrui Instrument (300165) announced on the evening of February 11, recently, the company received a notice of winning the bid to confirm the company andChina Power ConstructionThe consortium of Chengdu Survey and Design Institute and Guangda Xingyi Trust is the successful bidder for the PPP project of urban sewage treatment facilities in Ya'an City, with a total winning bid of 1.494 billion yuan. If the company can sign a formal written contract and implement it smoothly, it will have a positive impact on the company's future operating results. As of today's close, *ST Kaidi shares rose 2.11% to 0.97 yuan / share. The closing price has been below $1 for three consecutive trading days. On February 11, the Shenzhen Stock Exchange issued an inquiry letter to Haofeng Technology (300419), asking for the specific reasons for Luan Century’s performance decline in the first fiscal year after the performance commitment period expired. And accurate issues. 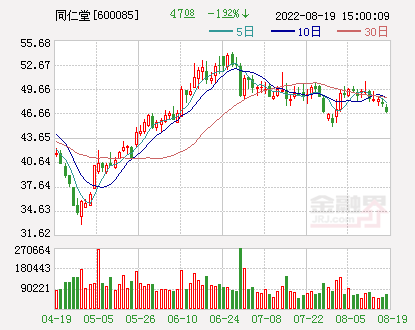 It is reported that the company recently released a performance forecast, the performance in 2018 was significantly reduced by 600 million yuan to 700 million yuan, mainly due to the provision of impairment on the goodwill formed by the acquisition of Luan Century. Huijintong (603577) announced on the evening of February 11 that the company became the winning bidder of the bidding project for the first line of installation of equipment, such as Zhangbei-Xiong, Zhumadian-Nanyang UHV AC Project in 2018. The total winning bid amount is 243 million yuan. The financial sector website news Zhongke Shuguang announced on the evening of February 11 that from October 9 to 2018, the company and its subsidiaries had received unannounced revenue-related government subsidies of RMB 95,443,900, and the government related to assets. The subsidy was 45.142 million yuan and the national project was 181.847 million yuan. Mike Bio (300463) announced on the evening of February 11 that the company recently received the "Medical Device Registration Certificate" issued by the Sichuan Food and Drug Administration, involving a monoamine oxidase assay kit (glutamate dehydrogenase method) and glycated hemoglobin. Six kinds of products, such as a measurement kit (latex immunoturbidimetry) and a pepsinogen I/II assay kit (latex immunoturbidimetry). The above new products with registration certificates are biochemical diagnostic reagent products, which enhances the company's competitive advantage in the field of biochemical diagnosis. Jiafa Education (300559) announced on the evening of February 11, the company's real controller and chairman Yuan Bin, from February 7, 2018 to February 7, 2019, a total increase of 403,000 shares, an increase of 1119 Ten thousand yuan, the implementation of the increase plan is completed. Xinyangfeng (000902) disclosed the repurchase progress on the evening of February 11. As of January 31, the company repurchased 10.15 million shares, accounting for 0.78% of the company's total share capital, and the total amount paid was 90.02 million yuan. The company also disclosed that the investment of 32.5 million yuan and Ningbo Junhe Qifu Enterprise Management Consulting Partnership jointly established Xinyang Fengli Sainuo Agricultural Technology Co., Ltd. as the sales platform of the company's fertilizer high-end brand, the goal is to build in three to five years. An industry leading brand for a new specialty fertilizer. Xiamen Tungsten Industry (600549) announced on the evening of February 11 that as of February 11, the company's first employee stock ownership plan had completed stock purchase through the secondary market, and accumulated 1,011,200 shares of the company's shares, accounting for the company's total share capital. 0.078%, the total transaction amount is 13.66.9 million yuan, the average transaction price is about 12.41 yuan / share, the stock lock-up period is 1 year. Lin Yang Energy (601222) announced on the evening of February 11 that the company became the bid winner of the 2019 electric energy meter framework bid of Yunnan Power Grid Materials Co., Ltd., and the estimated bid amount is about 63.8 million yuan. Keming Noodle Industry (002661) released its performance report on the evening of February 11. The revenue in 2018 was 2.856 billion yuan, up 25.85% year-on-year; the net profit was 189 million yuan, up 67% year-on-year. Best released the 2018 annual performance report, the company realized operating income of 754.687 million yuan, an increase of 11.21%; net profit attributable to shareholders of listed companies was 159.814 million yuan, an increase of 14.49%. Kaili Medical (300633) announced on the evening of February 11, the company's two medical device products (medical endoscope cold light source SL-ED10, medical endoscope camera system SV-M2K30) have been approved by the Guangdong Provincial Drug Administration Recently, he obtained the medical device registration certificate of the People's Republic of China. Kaili Medical said that the domestic endoscope market has long been monopolized by foreign brands, especially high-definition camera systems, and the domestic brand market share is less than 5%. The company has not been able to predict the impact of the company's products on the company's future performance. Southern Media announced that the company's nearly 644 million restricted shares will be listed and circulated on February 15, accounting for 71.83% of the company's total share capital. The restricted shares were 627 million shares of the controlling shareholder Guangdong Publishing Group Co., Ltd., and 16.74 million shares of the company's state-owned shares held by the Guangdong Publishing Group Co., Ltd. and transferred to the National Social Security Fund Council. Dongfang Risheng announced that as of January 31, 2019, the company had repurchased 21,895,535 shares of the company through a stock exchange repurchase special securities account in a centralized bidding transaction. The total amount paid was 130,201,571.56 yuan (including handling fee); this time back The number of shares purchased accounted for 2.4213% of the company's current total share capital, the highest transaction price was 6.67 yuan / share, and the lowest transaction price was 5.37 yuan / share. Nachuan shares (300198) announced on the evening of February 11, recently, the public notice of the results of the pre-bid successful bid released by the Zhejiang Government Procurement Network showed that Zhongtian Construction Group, as the leader of the company and the construction of Shandong Zhonghong Road Bridge, became a consortium. The pre-winning unit of the PPP project of Wencheng County Urban Pipe Network Reconstruction Project. The total investment of the project is about 870 million yuan, accounting for 58.79% of the company's audited operating income in 2017. Jinlong Automobile announced on the evening of February 11 that the company's holding subsidiary Xiamen Jinlong United and Xiamen Jinlong Wagon recently received the second batch of liquidation from the central government of Xiamen Municipal Finance Bureau for the promotion and application of new energy vehicles in 2017 and the previous year. The funds are 238 million yuan and 589 million yuan. The above-mentioned ostasis of 827 million yuan will directly offset the accounts receivable formed by the sales of new energy buses, which will have a positive impact on the company's cash flow. Pien Tze Huang disclosed the performance report, the company achieved total operating income of 4.798 billion yuan in 2018, an increase of 29.19%; net profit of 1.128 billion yuan, an increase of 39.83%. Earnings per share of 1.87 yuan. The increase in profit was mainly attributable to the increase in operating profit of the company's core product, the Pien Tze Huang series sales growth and the increase in fund investment income. Fuchun shares (300299) released a performance report on the evening of February 11. The revenue in 2018 was 556 million yuan, up 4.83% year-on-year; the net profit was 5.7789 million yuan, a year-on-year loss, a loss of 171 million yuan in the same period last year. Guangshengtang (300436) announced on the evening of the 11th that the company's GST-HG151 non-alcoholic fatty liver disease and liver fibrosis can reverse the global innovative drug clinical application accepted by the State Food and Drug Administration, is the company in the field of innovative drugs following GST-HG161 new liver cancer Targeted drugs have been approved for further clinical progress. No drugs have been approved worldwide for the treatment of nonalcoholic fatty liver disease (NAFLD) and nonalcoholic steatohepatitis (NASH). Once the relevant patented drugs are approved for marketing, the market for drugs will exceed 15 billion US dollars by 2025, and the market space is huge. Hebang Bio (603077) announced on the evening of February 11th that as of January 31, 2019, the company repurchased 113 million shares through centralized bidding, accounting for 1.28% of the company's current total share capital. The highest price of the transaction was 1.73 yuan / share, the lowest price was 1.59 yuan / share, and the total amount paid was 189 million yuan. Baichuan shares plans to invest 50,000 tons of needle coke project in Ningxia with an investment of 658 million yuan. The main body of the project is the company's wholly-owned Sun Company Ningxia Baichuan. The construction period of the project is expected to be 24 months. In addition, the company agreed that Nantong Baichuan, a wholly-owned subsidiary, will increase its capital by 220 million yuan to Ningxia Baichuan with its own funds. After the capital increase is completed, the registered capital of Ningxia Baichuan will be changed to 300 million yuan. Guanghua Technology signed a cooperation agreement with Chery Wanda Guizhou Bus Co., Ltd. (Chery Wanda), and the two parties will cooperate in the business of recycling and recycling of used batteries and recycling battery materials. Kerun Derun, a subsidiary of Derun Electronics, has been identified by Volvo Car Corporation as a supplier of new electrical system wiring harness products, and various preparatory work will be carried out in the future. Creative Information signed a cooperation agreement with Bank of Communications Sichuan Branch. The Sichuan Branch of the Bank of Communications designated Chengdu Pengzhou Sub-branch to provide 500 million yuan of intentional financial support to the company. In January 2019, Poly Real Estate achieved a contracted area of ​​2,278,500 square meters, an increase of 4.58% year-on-year; the contracted amount reached 33.591 billion yuan, an increase of 6.14%. In January 2019, the production of hippocampus was 731 units, down 92.54% year-on-year; the sales volume was 1327 units, down 87.45% year-on-year. 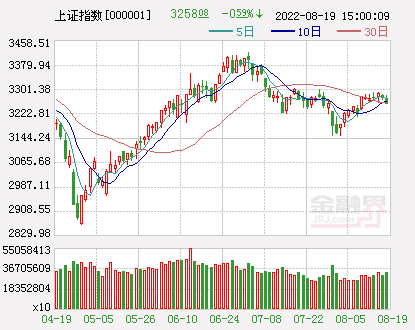 Xu Shuang, the real controller of Tengda Construction and the spouse of Chairman Ye Linfu, increased his holdings of 34,555,500 shares, accounting for 2.16% of the total share capital, from January 28 to February 11, 2019 through its actual controlled collective fund trust plan. After the change in equity, Ye Linfu and his concerted actions held a total of 15.56% of the company's shares, an increase of 5% over the date of the previous disclosure of the detailed equity change report. As of February 8, 2019, Zhang Jiayong, the actual controller of Yongyi Co., has increased its shareholding in the company by 3,076,897 shares, accounting for 1.02% of the company's total share capital, which has exceeded the lower limit of this increase plan. 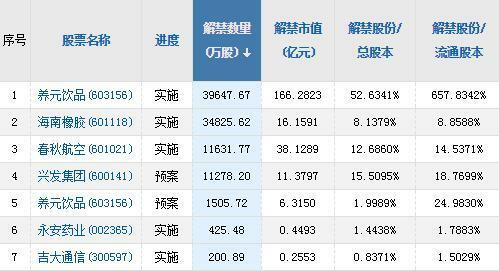 The cumulative increase in holdings was 22,121,873.35 yuan. From August 10, 2018 to February 11, 2019, Chen Baohua, the controlling shareholder of Huahai Pharmaceutical, increased its shareholding in the company by 1,350,000 shares. The average holding price was 17.19 yuan/share, and the cumulative holding amount was 23,201,500 yuan, accounting for the company's total share capital. 0.11%, this increase has been implemented within the planned period. As of January 31, Qibin Group has repurchased a total of 52,459,900 shares of the company, accounting for 1.95% of the company's total share capital (accounting for 52.46% of the maximum number of shares repurchased by the repurchased company). The total amount paid is approximately 200 million yuan. As of February 11, Neusoft Group had repurchased 3,806,410 shares through centralized bidding, accounting for 3.06% of the company's total share capital, and the total amount of funds paid was 434 million yuan. As of January 31, 2019, Kang Enbei has accumulated a total of 97,282,900 shares, accounting for 3.65% of the company's current total share capital, and the total amount paid is 585 million yuan. As of January 31, China Power had repurchased 5.012 million shares through centralized bidding, accounting for 0.29% of the company's total share capital, and the total amount paid was 113 million yuan. As of January 31, the liberal arts gardens repurchased 8.85 million shares, accounting for 1.73% of the company's total share capital before the implementation of the repurchase plan, and the total amount paid was 60.98 million yuan. Hengshun Zhongsheng: changed its name to "Qingdao Zhongcheng"
Since February 12, Hengshun Zhongsheng has activated the new name “Qingdao China Capital Zhongcheng Group Co., Ltd.” and the new securities abbreviation “Qingdao Zhongcheng”. The company's securities code remains unchanged and remains “300208”.